The 338 Lapua Magnum is one of the great rounds of our era. 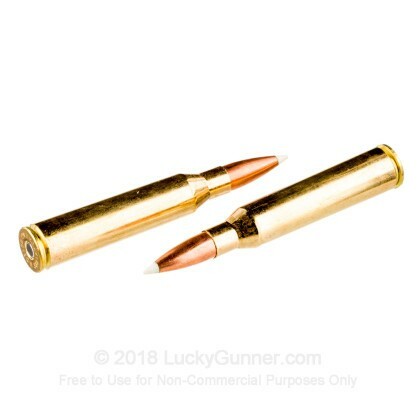 This cartridge is used by militaries all around the world, and it has a reputation for being a top-of-the-line option for extremely long distance shooting. 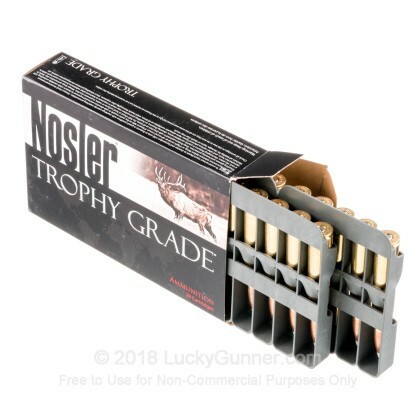 When you want super accurate, dependable, and effective ammo, Nosler is the way to go. 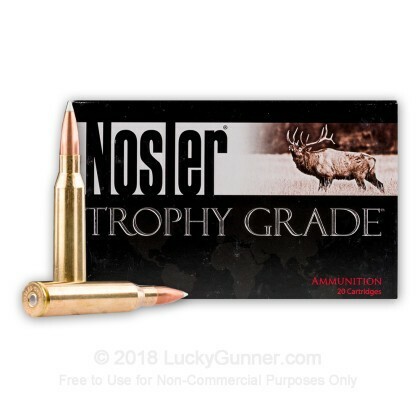 Their Trophy Grade line features accubond polymer tipped bullets, which are incredibly accurate and have amazing expansion, making for a phenomenal hunting round. With the accuracy and effectiveness of Nosler, you can drop any animal you hunt without a hitch. 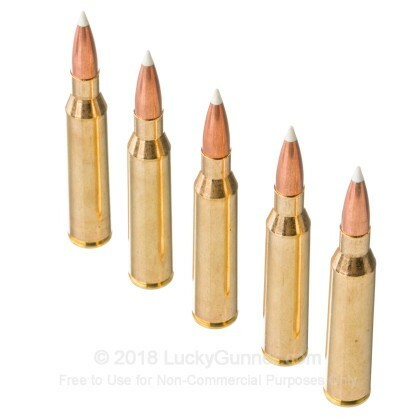 Perfect for big game hunting, these 300 grain, reloadable rounds feature controlled expansion and un-matched precision, making sure every shot finds its mark. Pick up a couple 20 round boxes today! 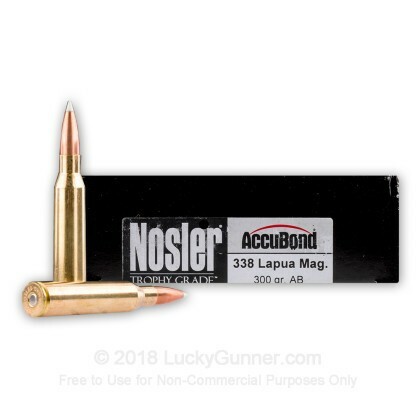 We don't have any reviews yet for this particular .338 Lapua Magnum ammo from Nosler Ammunition. 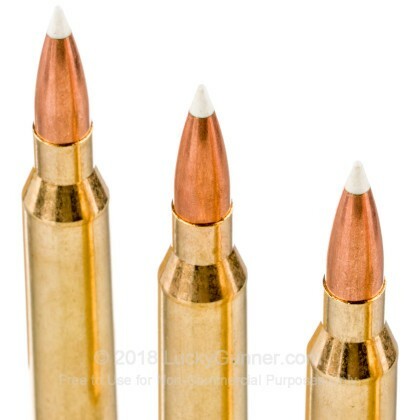 If you'd like to be the first to review this particular .338 Lapua Magnum ammo from Nosler Ammunition, fill out the form below.